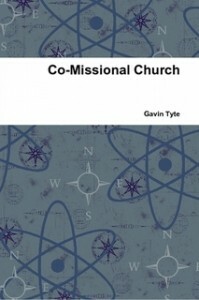 Co-Missional Church is designed to be an easy-to-read, non-academic booklet for those who, like me, struggle, think and reflect about church and mission. Has God has gone ahead of us? What might church be like in the future? This is not a textbook for mission but my musings on ministry and mission in a 21st Century urban context. It’s available as a paperback or as a FREE download from lulu.com.